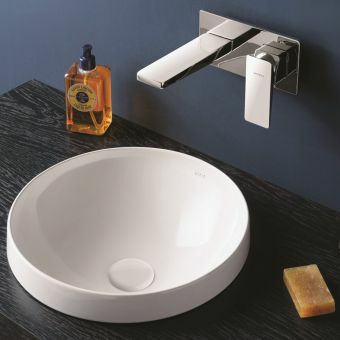 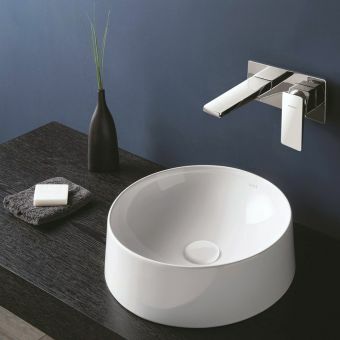 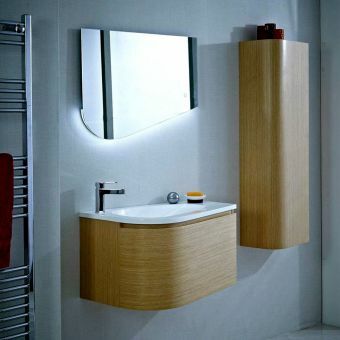 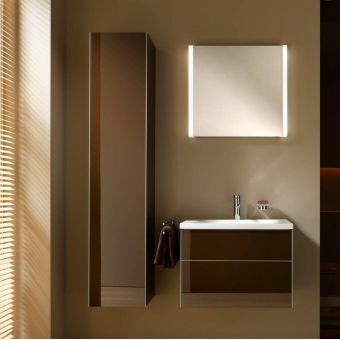 The award winning Frame design line by globally recognised bathroom manufacturers VitrA is simply stunning. 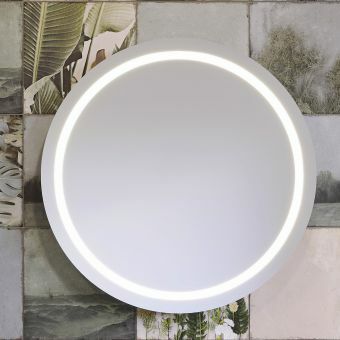 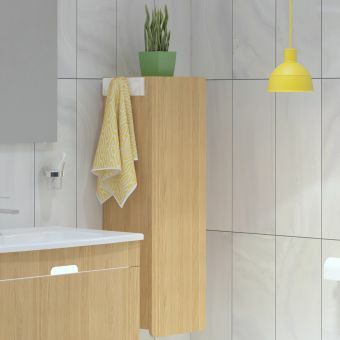 In 3 contemporary colourways they mix natural textures with bang up to date matte tones, blending a contemporary style that will remain timeless thanks to its simply chic, tasteful design. 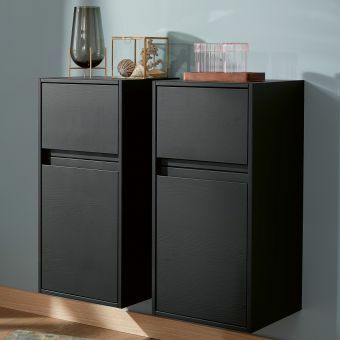 This combination of Frame tall unit is a right or left handed wall unit with 3 shelves that has a soft closing door hinge in one of 3 oak finishes. 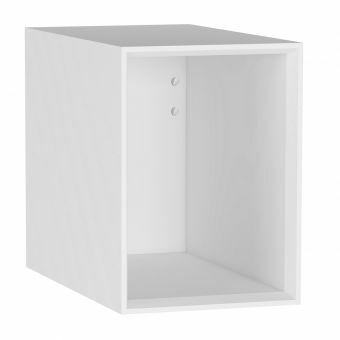 This is complimented with an open bottom section in a simple attractive cube form for easy access to essentials. 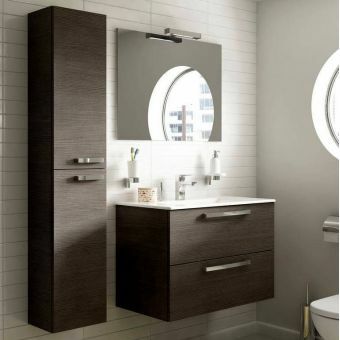 This is in a matching tone for example the Mocha oak is paired with a superb matte taupe. 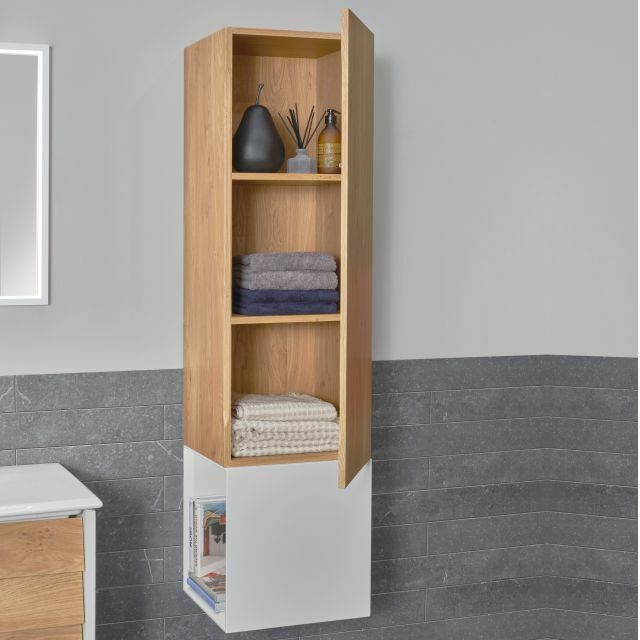 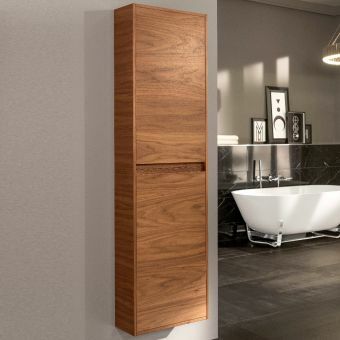 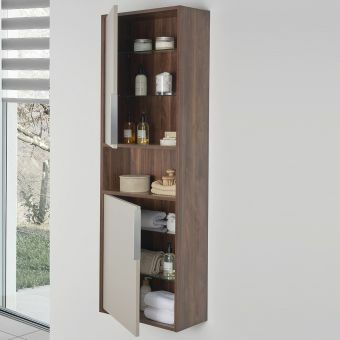 Frame is a stylishly simple and tasteful range in a modern style with real character and warmth, pair this tall unit with other items from the same range for a fully coordinated bathroom layout. 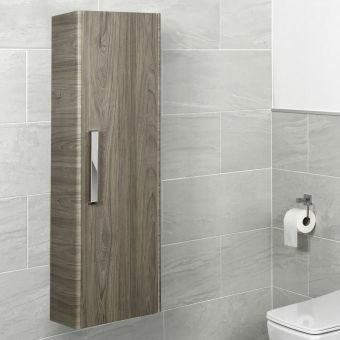 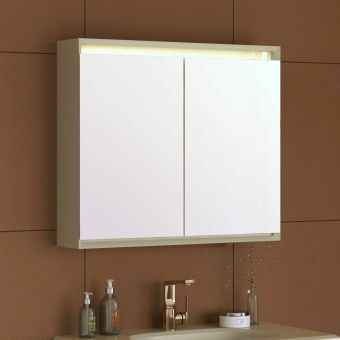 The unit is 1510mm tall in total, with the bottom section a good sized 410mm high and 390mm from the wall to the front. 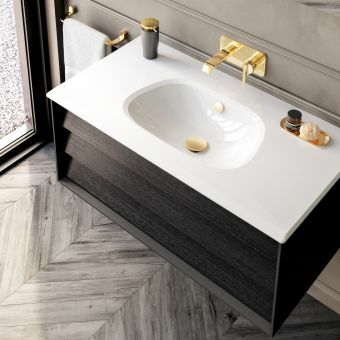 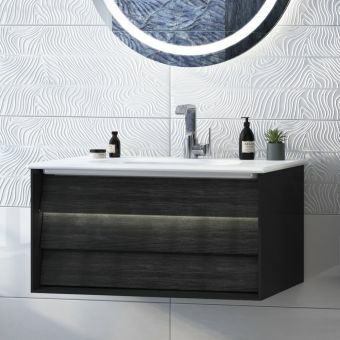 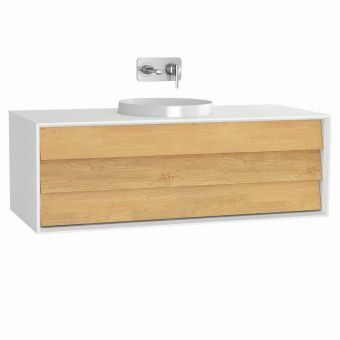 Other finishes include a striking matte black with patterned black oak which taps into the wonderful black bathroom trend, and a lovely classic matte white accented with the warm and natural Dore oak.